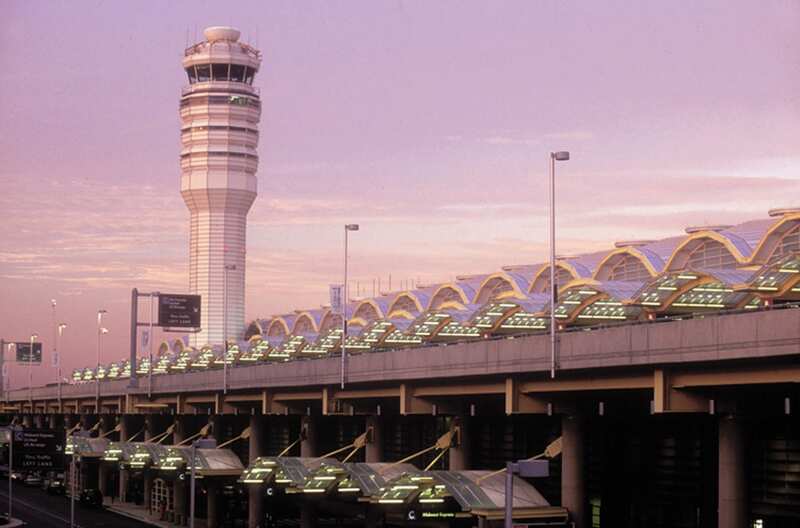 Dulles, Reagan, or BWI: Which Washington DC Airport Should You Fly Into? Fun fact: none of the airports serving the greater Washington D.C. area are actually in Washington D.C. Two, Reagan (DCA) and Dulles (IAD) are in Northern Virginia, while Marshall Airport (BWI) is — you guessed it — just outside of Baltimore, Maryland. Between growing up in Arlington, Virginia and visiting my family who still lives there, these three airports have become the most familiar to me. Each airport is slightly different and varies in how close they are to D.C., flight availability, and in-terminal amenities. Without having flown through them, though, it can be hard to know which one you should fly into. 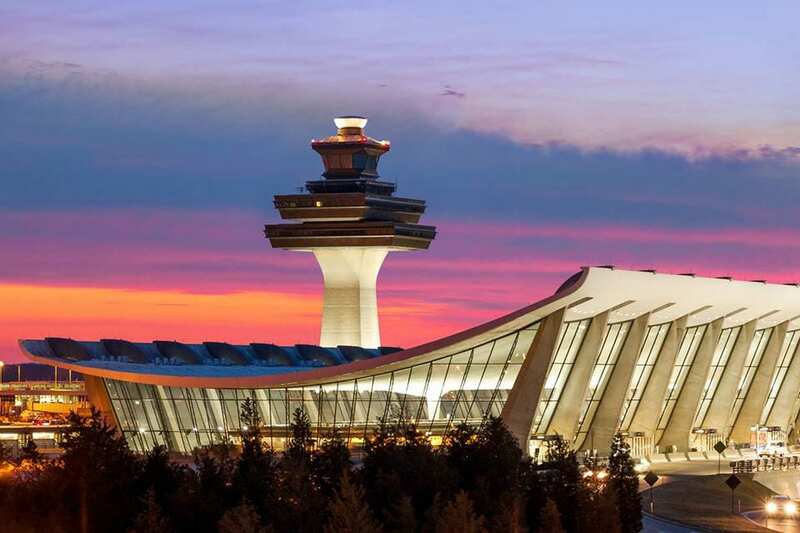 If you’re planning a trip to Washington D.C. or the surrounding area, I’ll break down which airport you should fly into with a comparison of Dulles, vs Reagan, vs BWI, and give tips on what to consider before booking your next flight. Of D.C.’s three airports, Reagan National Airport (DCA) is my personal go-to for three reasons. Reagan is closer to Washington D.C. than Dulles or BWI, by a lot. While not in D.C. proper, it’s just across the Potomac River in Arlington, Virginia. This makes it easy to get to by a short and reasonably priced taxi/Uber ride or via the Metro, which stops directly at the airport. The Metro runs until 11:30 p.m. on weekdays and 1 a.m. on weekends, so even late night arrivals can take advantage of the convenience of the trains. Proximity to downtown also means it’s more closely watched by the U.S. government. While you generally won’t see or feel a difference as a layperson, security for both passengers and airlines is stricter than it is at the region’s other airports — but this is a good thing. Their strict security policies combined with the (mostly) business traveler crowd using DCA, means getting through security is generally efficient and the airport itself is well serviced. The biggest downside for DCA, is that it only has domestic flights (plus a couple to Canada), and tends to be more expensive than IAD or BWI. If you want to fly to an international destination via DCA, you’ll have to transfer — likely in Atlanta, New York, or Los Angeles. With 95 nonstop flights operating out DCA, it services a lot of destinations, most of which are clustered on the east coast and in the midwest. Quite a few of the direct flights fly into smaller airports (i.e. Chattanooga, TN) on the east coast. You’ll find the widest selection of routes served by American Airlines, although United, Alaska, JetBlue, Delta, Southwest, and Frontier also operate out of DCA. Trying to get from NYC to DC? Take the bus or Amtrak instead. Between airport security and transportation to/from, it’s almost as fast but will drop you right in the heart of the city. In terms of flight options and overall airport quality, Dulles International is, by far, the best airport in the area. But there’s a catch: it’s actually not that close to D.C. Roughly 26 miles outside of the District proper, and beyond even the furthest reaching metro stops of Northern Virginia, Dulles is closer to the rolling farmlands of Leesburg, Virginia than it is to our nation’s capital. Depending on where in the District you want to go, it can take anywhere from 30 minutes to 1 hour to drive in, and a taxi ride can cost as much as $60 one way. Public transportation isn’t the best either — though it’s improving. In 2009, the Metro began construction on a Silver Line to extend metrorail access from the Northern Virginia ‘burbs out to the airport. It’s slated for completion in 2020. Until then, you can take a $5 shuttle from the current end-of-the line in Reston. From the District, this trip can take almost 1.5 hours but it’s significantly cheaper than a taxi. Distance aside, Dulles is a great airport in every other regard. Even though it’s enormous and the post-security shuttles can be a little confusing for first-timers, getting from the check-in counter to your gate is surprisingly efficient. 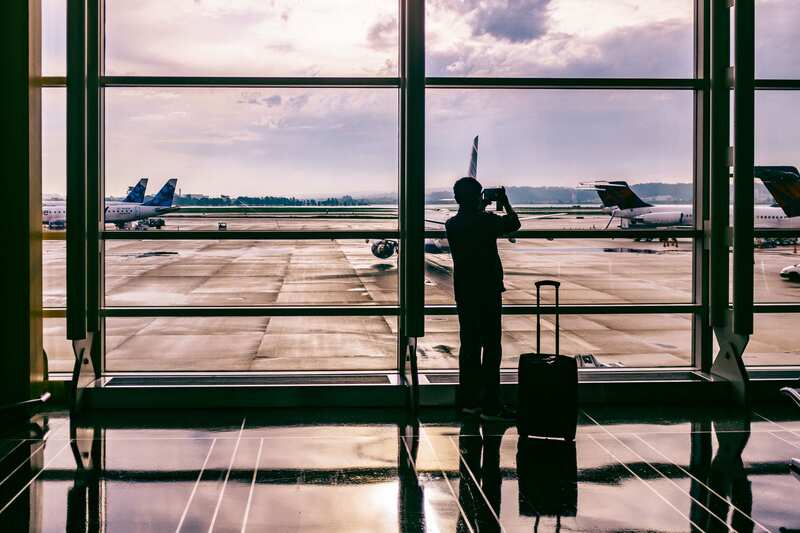 Clearing both security and customs is pretty quick, especially since IAD has all of the expedited customs programs Global Entry, CLEAR, and Mobile Passport. Perhaps most importantly, it’s well serviced with shops, restaurants, and amenities. I’ll even give it bonus points for opening an outpost of my favorite DC area restaurant: The Lebanese Taverna. When searching for flights to the D.C. area, you’ll find the most options flying to/from IAD — especially with United, since IAD is one of their hubs. IAD has the largest number of flight options of the three DC airports with nonstop flights to 57 international destinations and 81 domestic. Domestic routes are often a little cheaper out of IAD than DCA. If you’re going into D.C. try to plan your arrival time outside of rush hour, which is roughly 6am – 9am and 3pm – 7pm Monday – Friday. Traffic in the DMV is some of the worst in the nation and I wouldn’t wish a 2-hour drive after a 10-hour flight on anyone. It may seem counterintuitive to fly into Baltimore for a trip to D.C., but Marshall Airport, BWI is less than an hour drive from Washington D.C., and even closer by train (about 30 minutes). The real winning aspects of BWI, though, are the cheap flights and budget friendly amenities. The best way to get to and from BWI is by train. From Union Station, travelers can take a 20-30 minute Amtrak train for $16+ or a 35 minute MARC train for $7 (one way). These operate between 3:30am and 12:30am. The same goes for getting into downtown Baltimore: take a MARC or Amtrak train. Other transportation options aren’t as fast or affordable. Taxis, Ubers, and shuttles will take about an hour from BWI to downtown D.C. Expect a taxi/Uber to cost between $40-90 and shuttles to costs $37 per person. Compared to Reagan and Dulles, BWI has a reputation for being rather barebones and neglected. When I flew through in 2014, it felt grungy and like the only food options were fast food. 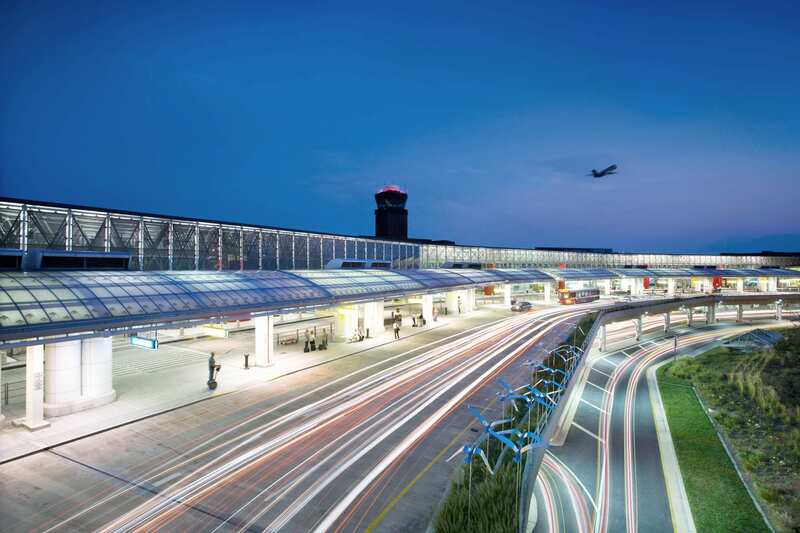 Happily, BWI has recently embarked on a $100 million expansion project aimed at providing new services and dining options, better security, and more efficient mobility through terminals — the airport has already seen big improvements. From a gym in the D/E terminal to less congested security lines, BWI is catching up to the standards of its Virginian neighbors. In addition to the new changes, BWI is very budget-traveler friendly. With day passes to their lounge an affordable $17.50, and a no premium markup for all food and drinks, neither the flights nor the in-terminal treats will break the bank at BWI. Although technically an international airport, most of BWI’s routes are domestic. Only eight international destinations are serviced by nonstop flights. But what it lacks in options, BWI makes up for in affordability. Flights from BWI are often cheaper than Reagan or Dulles, with, budget friendly, Southwest Airlines operating the largest number of flights to and from BWI. Two other budget airlines, Spirit and Iceland’s WOW Air, also have direct flights, while larger airlines like United, American, and Delta run good deals on their fares as well. You can’t walk from the BWI train stop to the airport like you can at Reagan — it’s offsite. Instead, you’ll catch a quick shuttle bus from the train station. It’s a good idea to budget an extra 10-15 minutes for this. While I usually prefer Reagan because it’s the closest and easiest to get to from Washington D.C., I’ll often find significantly cheaper flights out of Dulles. Dulles is also the only option for international flights and — though large — a fairly efficient and nice airport to navigate. BWI is only worth it if you’re coming from the north side of D.C. or are willing to catch a train from Union Station. Happily, you can find some cheap flights on budget airlines from BWI, and it often wins in terms of affordability.